The upcoming sequel to 2011's critical hit is going to be legendary. 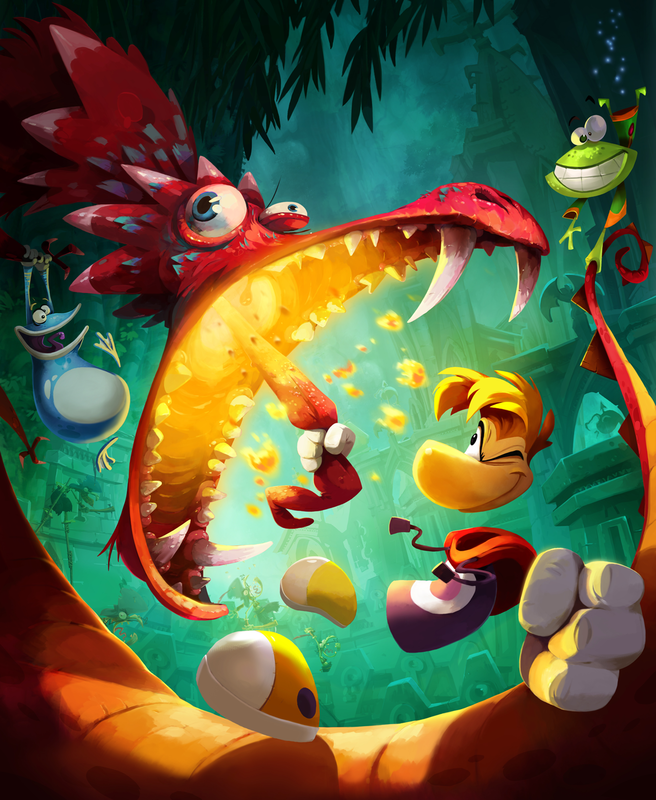 Rayman Legends is the follow-up to the well-received Rayman Origins. Though still a 2D platformer, the game intends to expand upon the original while also making full use of Nintendo's new console. "Rayman, Globox, and the Teensies are off wandering through an enchanted forest when they discover a mysterious tent filled with a series of captivating paintings. As they look more closely, they notice each painting seems to tell the story of a mythical world. While focusing on a painting that shows a medieval land, they are suddenly sucked into the painting, entering the world, and the adventure begins. The gang must run, jump and fight their way through each world to save the day and discover the secrets of every legendary painting." Perhaps the biggest change to the gameplay is the addition of one more player to the drop-in co-op experience, bringing the total to five (four players using Wii Remotes and one player using a GamePad). New to the game is Murphy, a green fairy-like being controlled entirely with the GamePad's touch screen. He can be moved throughout the level, revealing secrets, stunning enemies, and hindering or helping other players. Also new to the Wii U are gyroscopic controls, which can be used to tilt the player in a variety of situations, such as rotating platforms. Neal's impressions stated one instance in which the controller is tilted to help Rayman maneuver through tight spaces. Also exclusive to the Wii U version is the ability to play entirely on the GamePad while the television is displaying something else. Rayman Legends is expected to release during the Wii U launch window.